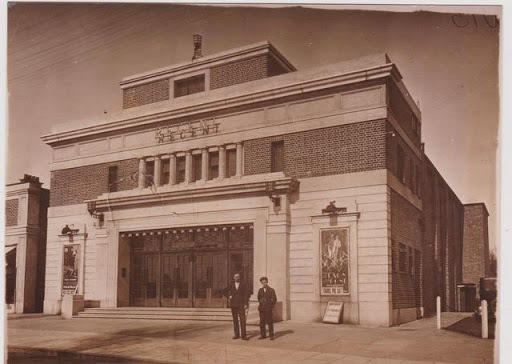 This magnificent Art Deco cinema was located in Sycamore Road, Amersham-on-the-hill, a few minutes walk from Amersham Tube Station at the terminus of the Metropolitan Line. An independent venture by local entrepreneurs, it opened in 1928 and seated seated 658. It was taken over and upgraded by Shipman and King in 1931, but competition from the Embassy in neighbouring Chesham and the growing popularity of television led to its closure in 1961. It was demolished and replaced by a characterless supermarket which stands there to this day. Originally known as the Maypole, it was subsequently taken over by Lipton and then Iceland.